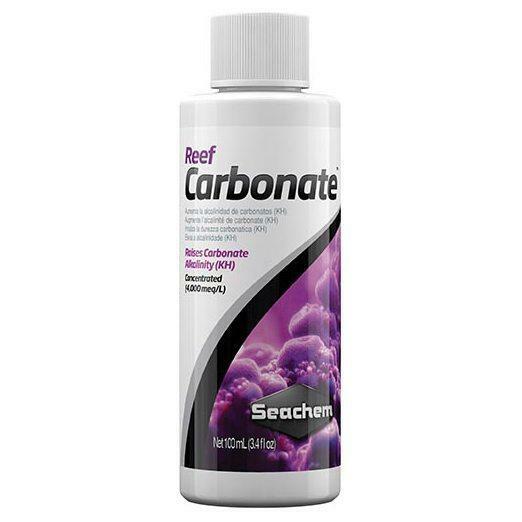 Reef Carbonate is a concentrated (4,000 meq/L) optimized blend of carbonate and bicarbonate salts designed to restore and maintain alkalinity in the reef aquarium. Calcium and carbonates are essential to all coral growth. 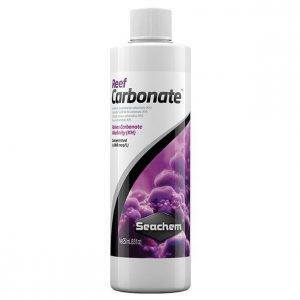 If either becomes deficient, coral growth will cease, followed by a rapid decline in coral health. 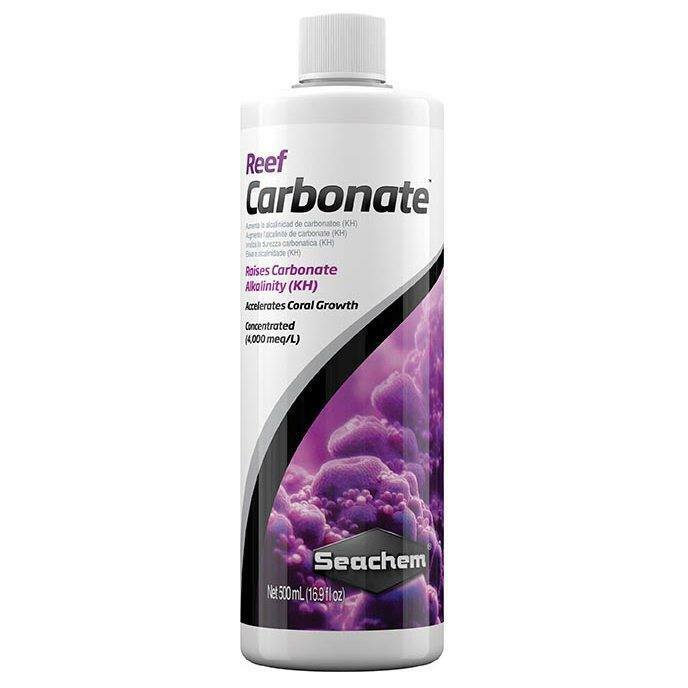 To prevent this you must provide carbonates (Reef Carbonate™) and calcium (Reef Advantage Calcium™ or Reef Complete®). EXPERT: After determining the alkalinity consumption rate, set up a continuous drip system. Use the following formula to determine how much to add to your top–off water: m=va/4 (m=mL of product to add to top off water, v=volume of tank in liters, a=amount to raise alkalinity in meq/L). For example, if you want to raise alkalinity by 1 meq/L in a 200 liter tank, then you would add (200×1)/4=50 mL into the top–off water. [For reference: 1 gallon=3.8 L].